Now that you've got the food figured out, it's all about the presentation. For this, I wanted a diy that was simple to pull off and didn't require too many elements. 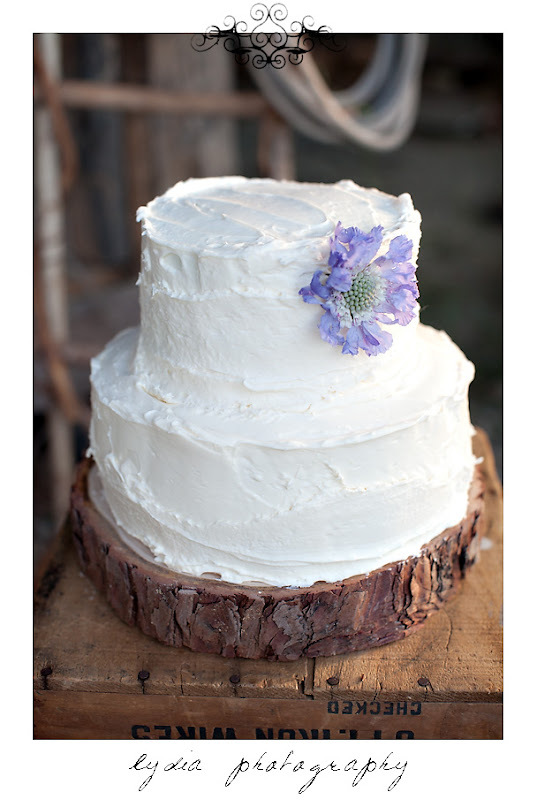 These wooden platters look great as a cake plate, serving platters, and even as a foundation for a table centerpiece! Ask a friend who is handy with a chainsaw to cut rounds 2-3'' thick. Allow plenty of time for the wood to dry out and season. Use a belt sander with a large grit to smooth out most of the top side and finish with a fine grit on a circular sander. Finish with a food grade oil like the ones made for butcher blocks. 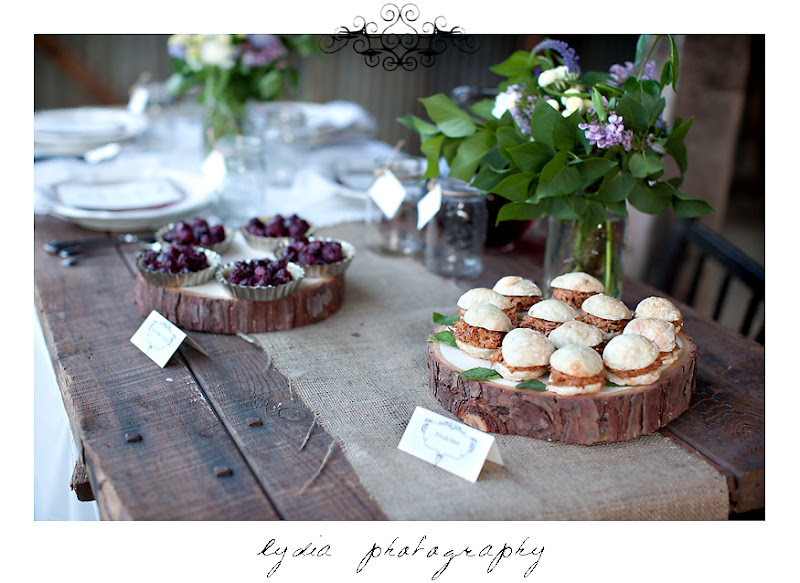 Lydia, I absolutely LOVE this style...elegant and rustic at the same time. 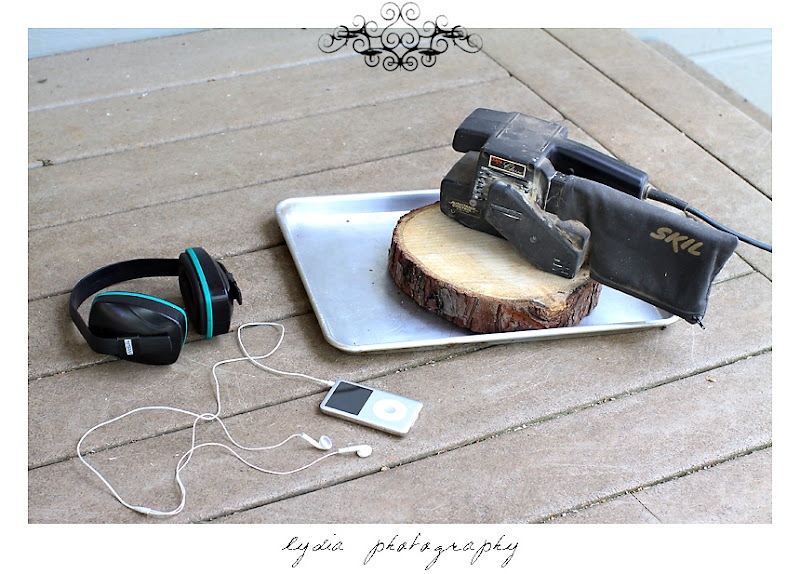 I'll bet you could probably even make a footed stand if you got your handy-chainsaw-wielding-friend to cut a slightly thicker, smaller round of wood to attach to the bottom...but footed or not, I think they look like a lovely and fun project!